CALGARY, Dec. 14, 2017 – Compass announces the appointment of Bill Moore as their new COO. Bill Moore joins the Compass team in January 2018 as Chief Operating Officer, based in Calgary. Bill comes to Compass with more than 25 years of global energy services experience in private and public markets. During his 20 years with Enerflex, Bill held a variety of leadership positions: President, International, responsible for the development and execution of global growth objectives, Senior Vice President of Operations, Vice President of Service, and General Manager of Asia Pacific, based in Sydney, Australia. Bill has a Bachelor of Chemical Engineering degree from the University of Sydney. 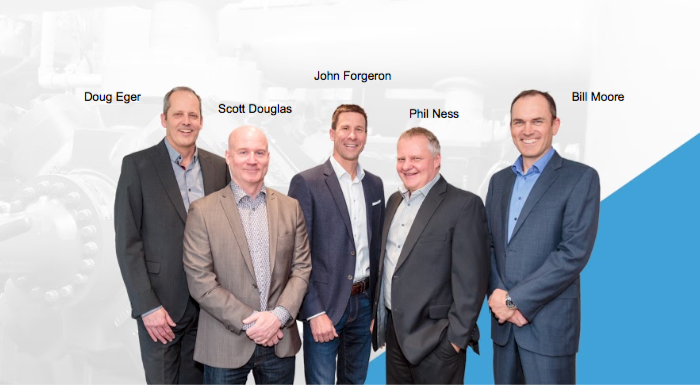 Bill will be responsible for supporting the continued operational growth of the business across all markets and product lines along with developing and implementing strategy with the experienced and talented team at Compass.